We offer a wide range of ESD Test & Measuring Instruments that are available in compact sizes and can be transported with ease and comfort. These are used for testing the validity of ESD products as well as measuring the presence of static on surfaces, materials & people. These products are widely used to maintain the production capacity and quality of electrostatic charge during handling, manufacturing, assembly and other operations. Our company also offers ESD Material Testing Laboratory along with ESD Auditing and Consulting services. We offer a wide range of Wrist Strap Testers that includes Wrist Strap Tester, Wrist Strap & Footwear Tester and Wrist Strap & Dual Footwear Tester. These are widely used in various testing applications of voltage or electrostatic charge on surfaces that are either stationary or in motion. We manufacture and export a wide range of Surface Resistivity Meters that are available in tow models such as Surface Resistivity Meter with Measuring Probes and Digital Surface Resistivity Meter. 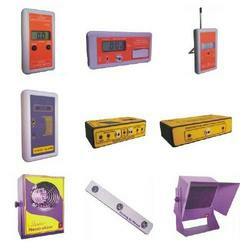 These are manufactured with latest technology that ensures optimum efficiency and durability of the products. 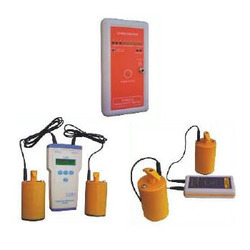 Our wide range of Testing and Measuring Instruments includes Static Charge Meter, Human Body Voltage Checker, ESD Event Monitor, Static Alarm, Continuous Work Station Monitor, Continuous Wrist strap Monitor, Static Neutralizer, Overhead Ionizer and Fume Absorber. 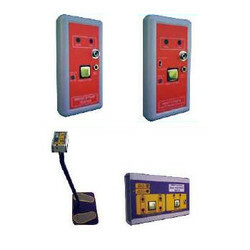 These are also used or various testing applications of voltage or electrostatic charge on surfaces.